When it comes to spicing up your pool to make it more enjoyable for the whole family, rafts and floaties play a key role. These days, you can find all sorts of different types of floaties to suit your needs. They can be decorative in nature, or serve a purpose, such as providing a source of relaxation or even some fun games. 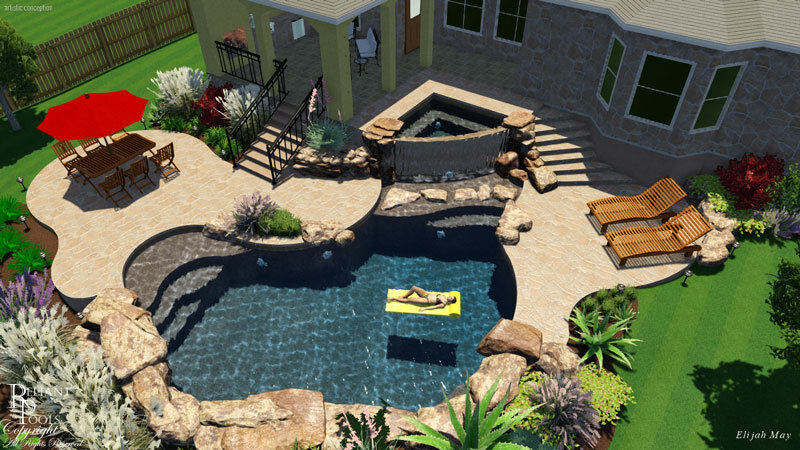 Of course, there are certain things that should be taken into consideration before you buy your next raft or floatie for your swimming pool built by Austin swimming pool builders. For instance, the size, purpose, material, and age of the user are all factors that should be considered before you make your purchase. Whether you’re looking for a 7-person raft or a floating basketball net, this guide will help you spend more time enjoying your new toy rather than shopping for it. A raft is something that lies flat on the water, usually with a pillow to support the head. However, the flat design won’t support any movement or paddling in the water. Rather, users will have to lie down on their back or stomach and not move around too much. As such, the purpose of a raft is for relaxation and sunbathing while in the pool constructed by Austin swimming pool builders. On the other hand, floaties hold the user up in a sitting position. These floaties are better suited for users who intend on remaining upright to either interact with others, watch the kids, read a book, and so on. It can be tougher to relax or sunbathe on a floatie because you’ll be sitting up rather than laying flat. Some floaties even have convenient drink holders on the sides. Selecting the right raft or floatie material is essential for the longevity of the product. If you have small children or pets, you may want to consider a material that’s much more durable compared to the average user. You should also consider how easy it is to store these pool accessories wherever they’re not in use, and how simple they are to assemble. Classic pool floaties – users can lie flat and relax. Side-by-side floaties – seat two users. Family floaties – hold more than two users. Fun floaties – designed for flexible movement and entertainment. Whichever pool floatie or raft you choose, it’ll be sure to help you enjoy your pool built by Austin swimming pool builders that much more with your family and friends!